First up, a chat with my old compadre Tim from Fakeologist.com as part of Member Skype Call #22. And then a day of shameless hedonism, centred around the spectacle of men punching each other for sport. 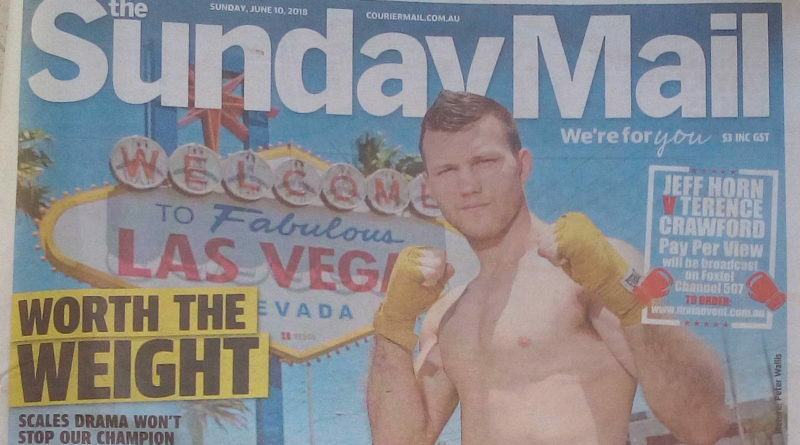 A Sunday afternoon spent enjoying a bbq, some froffies, and a pay-per-view on the big screen, with some blue-pilled buddies. I will be online for the call from 8am – 11am Brisbane on Sunday morning. Then, after that, I shall go and be a normie for the rest of the day. It has become my custom to fetch a warm coffee from a local cafe prior to each MSC. It helps perk me up for the call. 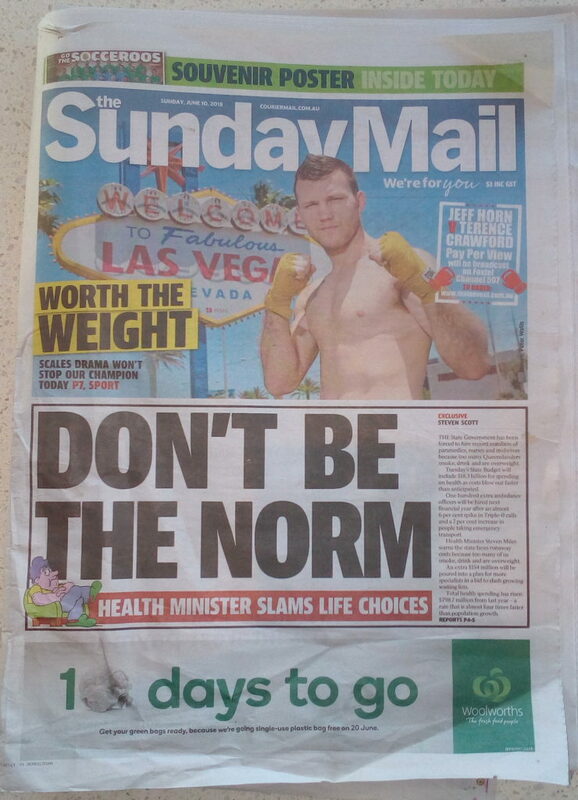 No surprise that the front page would feature Jeff Horn, who is a Brisbane local, after all. Today is a big day in Australian sport. But what is the headline of the major story? So I took a photo of the front page to share with you guys. Of course, Las Vegas is in the state of Nevada. So I checked wikipedia as soon as I got home. Nevada was apparently the 36th state to join the USA, an event which took place in 1864. Nevada does however have the 34th largest population of all states, according to wikipedia. “How fucked up has sync made us? That we find pleasure in the numbers on license plates. That we find poetry beyond explanation in the headline of a newspaper. I live in a fantasy world, do I? 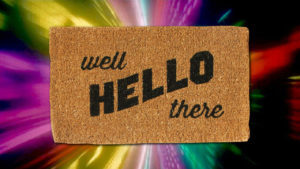 Well, so what? I’m happier than you, if you live without the poetry of meaning in your life. After all these broken and forgotten thoughts, everything I see makes me happy. I can’t remember, in all my explorations of the unsolvable, anything that has given me more insight. Reality as a singular noun makes absolutely no sense to me now”. Remember that in two weeks we will be discussing The Sync Books for MSC #24. Post #18 published 10-Jun-2018. Available publicly.